Visitors are welcome to eat at our Mountainview Café. Click here to send a Well Wish card. Cardiac Rehabilitation provides monitored, progressive aerobic exercise and education for patients recovering from heart attack, heart surgery or coronary artery stenting. Located on basement level of Medical Office Building A.
RNs are on staff until 3:00 pm for new evaluations and questions. Please feel free to contact us about the program schedule, charges and how to enroll. Cardiac Rehabilitation is a program offered at Central Vermont Medical Center to help patients to continue their recovery from heart attack, heart surgery, or coronary artery stenting. We serve approximately 170 patients per year. Our Cardiac Rehabilitation program (Phase II) is a six to 12 week outpatient program. It consists of monitored, progressive aerobic exercise, starting one to two weeks after hospital discharge. Your doctor, in conjunction with our program’s cardiologist, can help you and your family decide whether this program should be part of your recovery plan. Exercise sessions are held three times a week (Mon, Wed, Fri: 7:00 am - 11:00 am) in our specially designed Cardiac Rehab area. Each participant follows an individualized exercise plan. Education is provided in group sessions held once a week as well as through individual teaching. Help patients regain their confidence. Provide on-going educational support and counseling. Assist patients in understanding and adapting to their coronary artery disease and reducing risk factors through lifestyle changes. Help the individual return to and maintain the highest possible level of physical, mental, social and recreational functioning. At the completion of the program, participants are encouraged to follow a home exercise and diet program to maintain the highest level of heart health possible.You can also consider participating in our Phase III Cardiac Rehab program. Upon completion of our Phase II Cardiac Rehab program you main join our Phase III program, which meets on Tuesday and Thursday from 7:30 am - 11:00 am. There is no assigned time, just arrive anytime between 7:30 am and 10:00 am to start the workout and finish by 11:00 am. Blood pressure is assessed weekly. Members need to be independent with exercise and ambulation. Members chart progress on flow sheet proved. Heart rate recorded at rest, during exercise and after cool down. Program is self-pay (not covered by insurance): $50/month regardless of sessions attended. One comprehensive fee is charged for each session. This fee includes the cost of cardiac monitoring as well as physician and staff supervision. Most insurance companies cover the cost of a Cardiac Rehabilitation Program. *Effective for dates of service on and after February 18, 2014, CMS has determined that the evidence is sufficient to expand coverage for cardiac rehabilitation services under 42 CFR §410.49(b)(1)(vii) to beneficiaries with stable, chronic heart failure, defined as patients with left ventricular ejection fraction of 35% or less and New York Heart Association (NYHA) class II to IV symptoms despite being on optimal heart failure therapy for at least six weeks. Stable patients are defined as patients who have not had recent (< 6 weeks) or planned (< 6 months) major cardiovascular hospitalizations or procedures. Three specially trained Registered Nurses staff the Cardiac Rehab Program. The program is also managed by one of our Board Certified Cardiologists who routinely review patients’ charts and evaluate the patients’ progress. The program also takes advantage of consulting Physical Therapists, Psychologist and Nutritionists. We understand your time is valuable! CVMC's Patient Portals are online tools that help you to manage your healthcare easily and securely, allowing you to view your personal health record whenever and where ever you have access to the intranet. 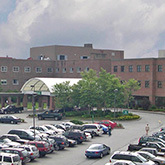 The University of Vermont Health Network is a six partner hospital system serving the residents of Vermont and northern New York.